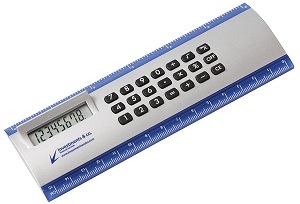 A 15cm ruler with integrated calculator. Silver effect centre with coloured trim. Button cell battery included.